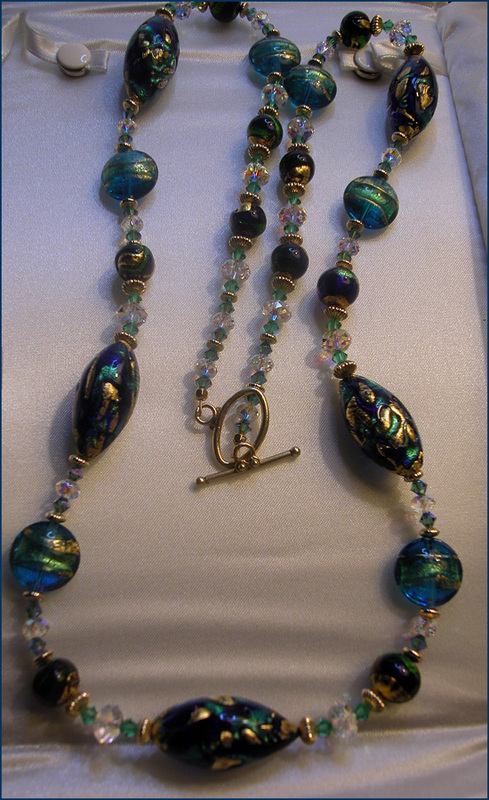 How Strong Is a Venetian Glass Necklace? We don't need to ask how beautiful it is. We know the rich, glowing colors. We've heard stories of the ancient techniques, passed down through generations. We know the total mastery of Venetian glass artists. We may have a teeny question about the strength of the glass. Very simple. If the glass is created under the leadership of a producer like the Venetian Bead Shop, it is strong! 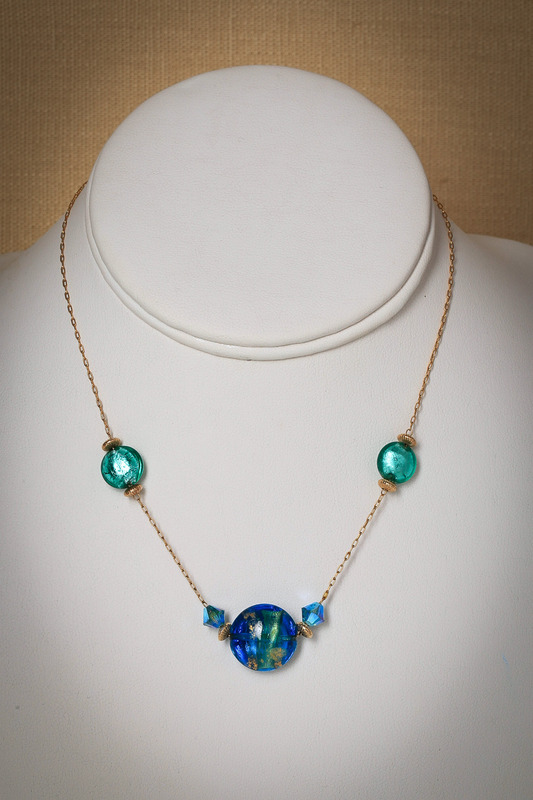 This is one of the first necklaces I made with Venetian Glass. I made this bodacious, breathtaking necklace for a friend. We chose a lovely toggle clasp. It was the first time I had used an oval shape for the toggle circle. The toggle bar slipped right through and the necklace fell from my friend’s neck to a hard tile floor. We both gasped, screwed up our courage, and picked it up. Not a chip, not a crack in any of the glass. Joy and relief! I snatched the necklace back to change the clasp. Alas, the big oval beads are no longer available in that heavenly deep blue, but stay tuned for other colors and combinations. This has been my best-selling necklace for years. Wearing the pink, green, blues and silver always makes me feel happy. The necklace is 36 to 42 inches, so you can wear it long -- or double it. A magnet clasp makes this an easy switch. Contact me for other color combinations. 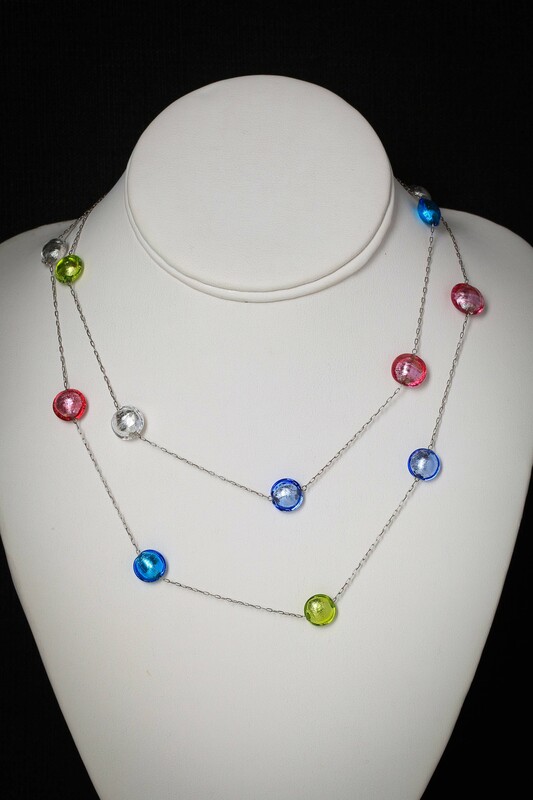 This elegant statement necklace is a benign ray gun, zapping the universe with its incandescent light. There is nothing like the depth of the blues shot through with gold. The external gold in the centerpiece is delicate and will wear with time. The intense blue color and internal gold continue to tell the beautiful story.